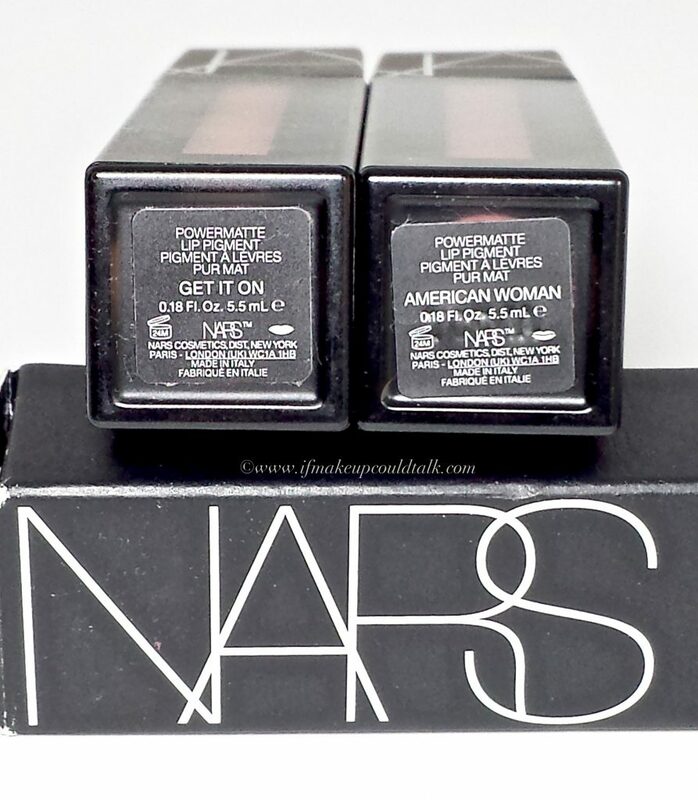 Nars Powermatte Lip Pigment Get It On and American Woman. 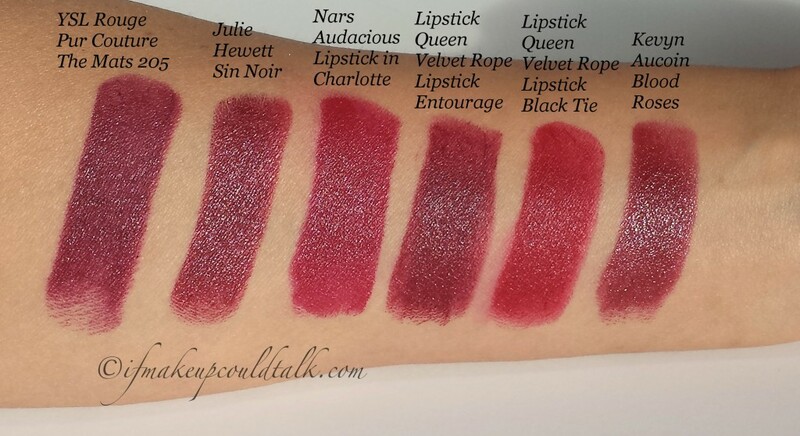 I do believe every cosmetics brand has now come out with their version of the matte liquid lipstick. 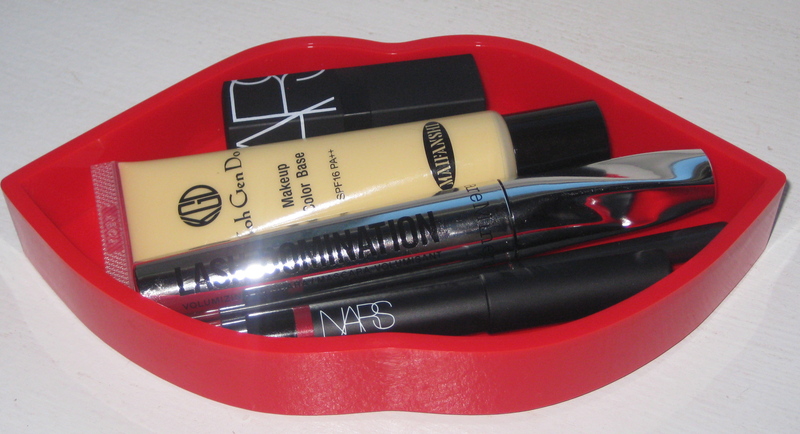 Understandably, these types of lipsticks are very big sellers. 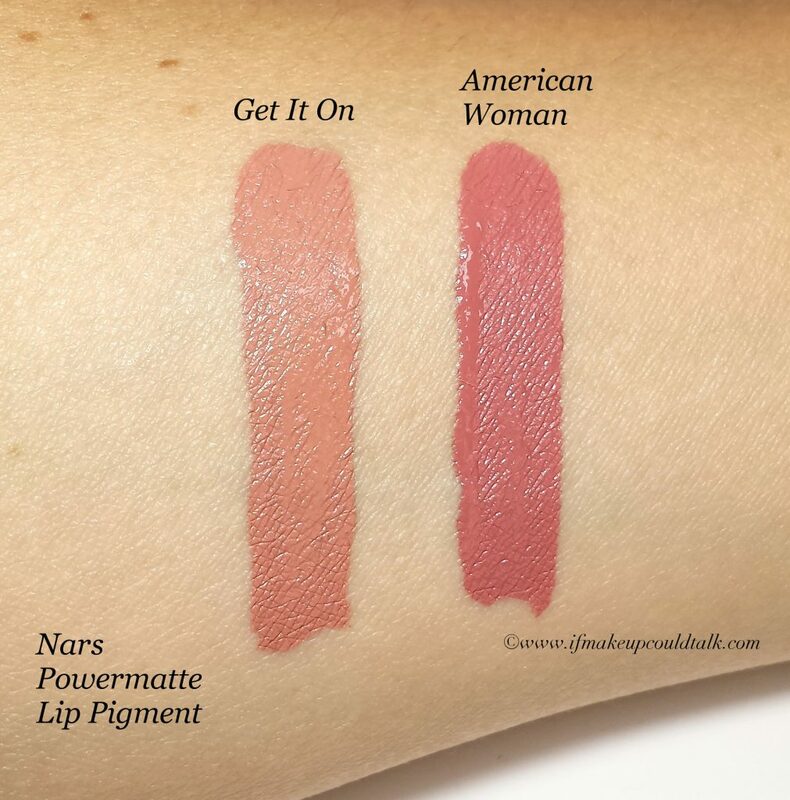 With that being said, Nars Powermatte Lip Pigments Get It On and American Woman ($26 USD/ 5.5mL.) is one of the newer releases that certainly proves somethings are worth the wait. 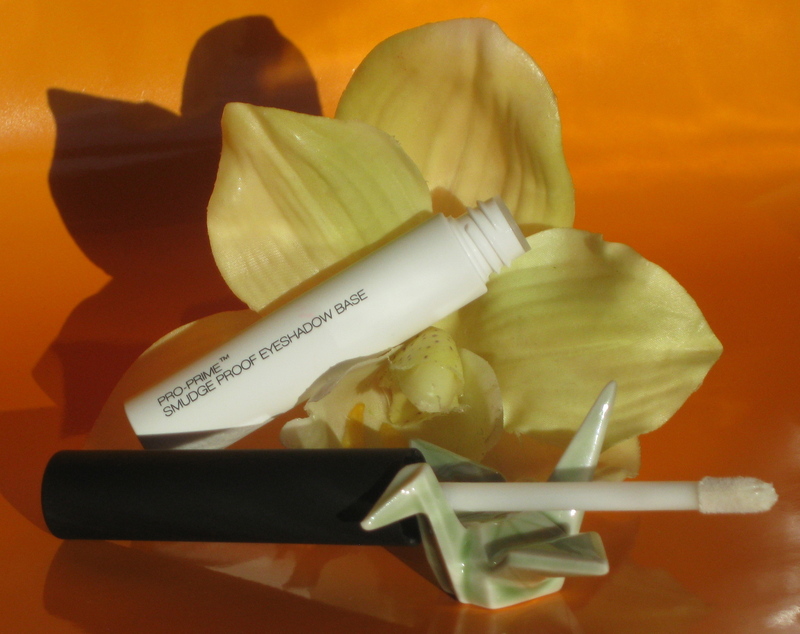 Everything from the formula, to the applicator head, packaging, amount, etc. is done well. 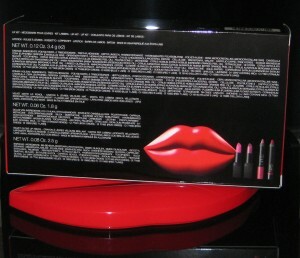 To boot, who could resist lipsticks named after classic rock songs? Well played Monsieur Nars. 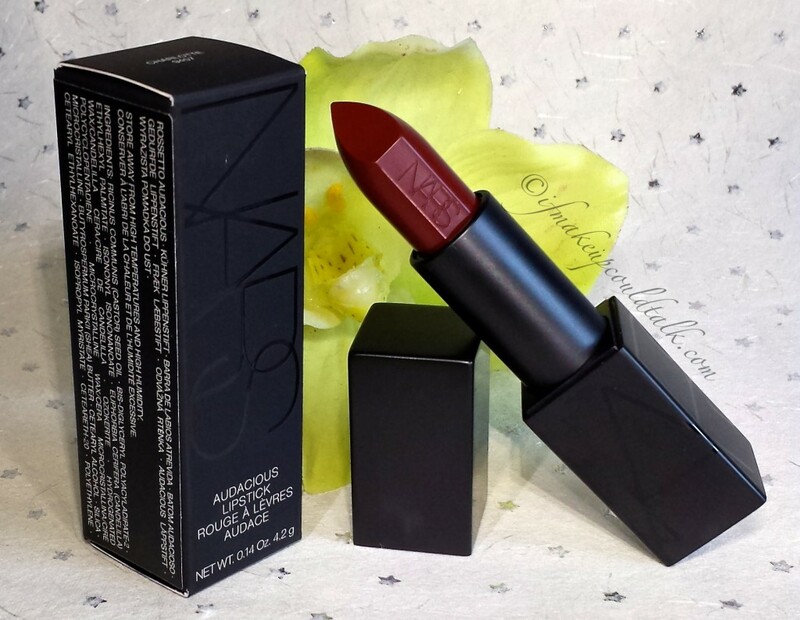 Nars Powermatte Lip Pigment Get It On. 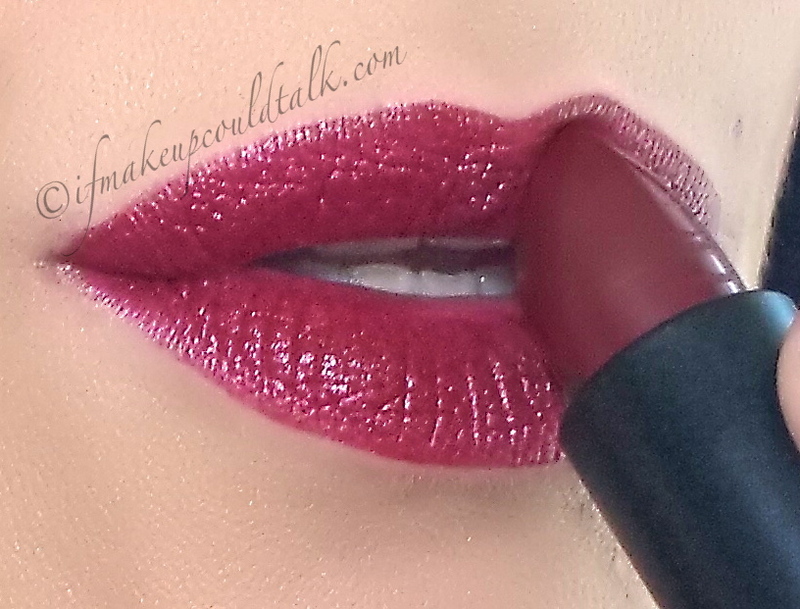 Nars Powermatte Lip Pigment American Woman. 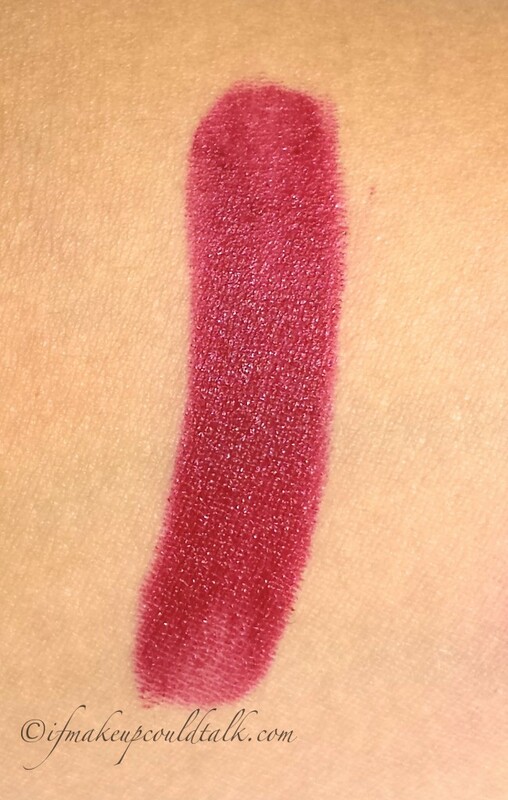 IMHO, when it comes to liquid lipstick, the one thing that makes or breaks a new release is the applicator head. Lets face it, formula is important, but truthfully speaking if the applicator head is cheaply made (e.g., large head, long splayed fibers, too thin or thick tip, etc. 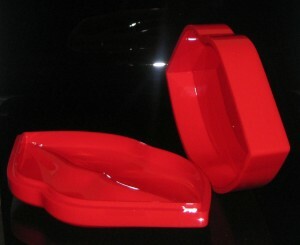 ), the product becomes useless. 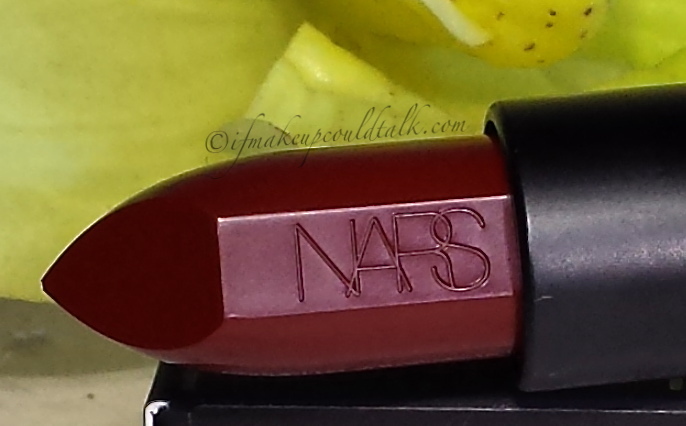 Even though Nars is a bit late to the matte liquid lipstick party, they took their time and thoroughly designed a head with precisely cut fibers and a substantial pointed tip–absolute genius. Typically a lipliner is usually used to achieve a crisp outline of the lips; however, with Nars Powermattes the tip virtually eliminates the need for that step. The softly rounded rigid pointed design glides effortlessly across the skin, depositing pigment with exacting detail. 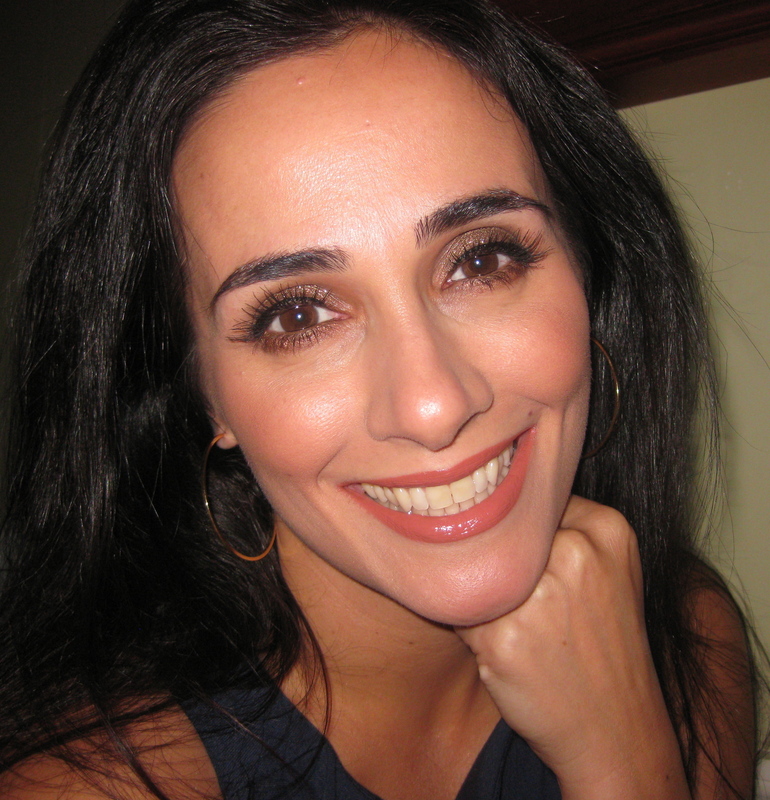 A lipliner can be used, but more so to add dimension or for color alteration. 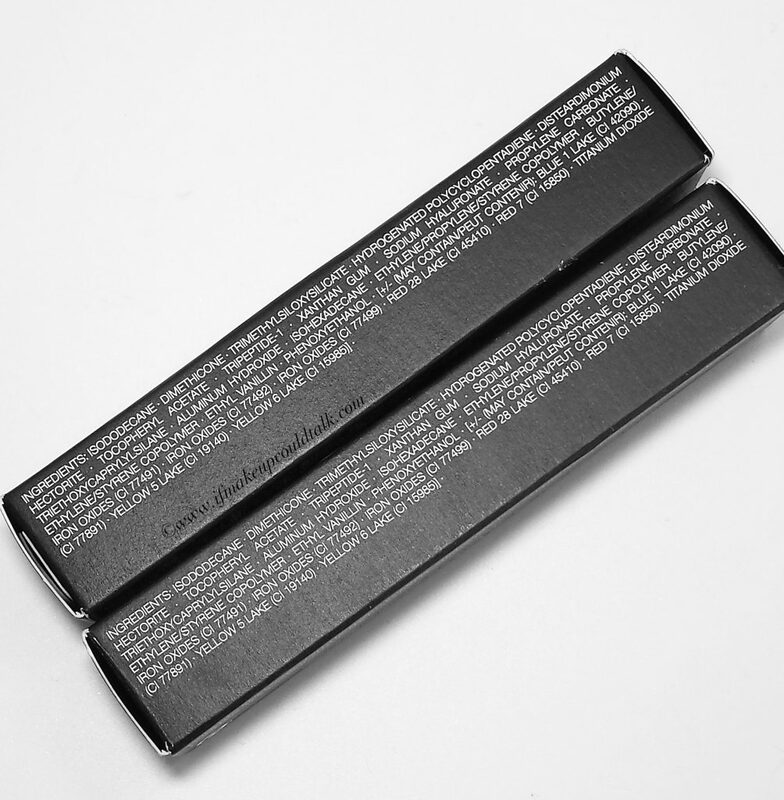 In addition, the top portion and wand length allows for amazing control during application. 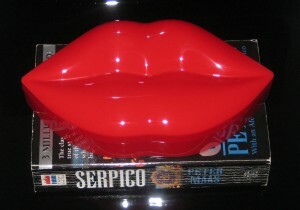 The top is the perfect size and girth for a hardy grasp and the wand length ensures perfect balance during application. Nars Powermatte Lip Pigment Get It On and American Woman freshly applied. 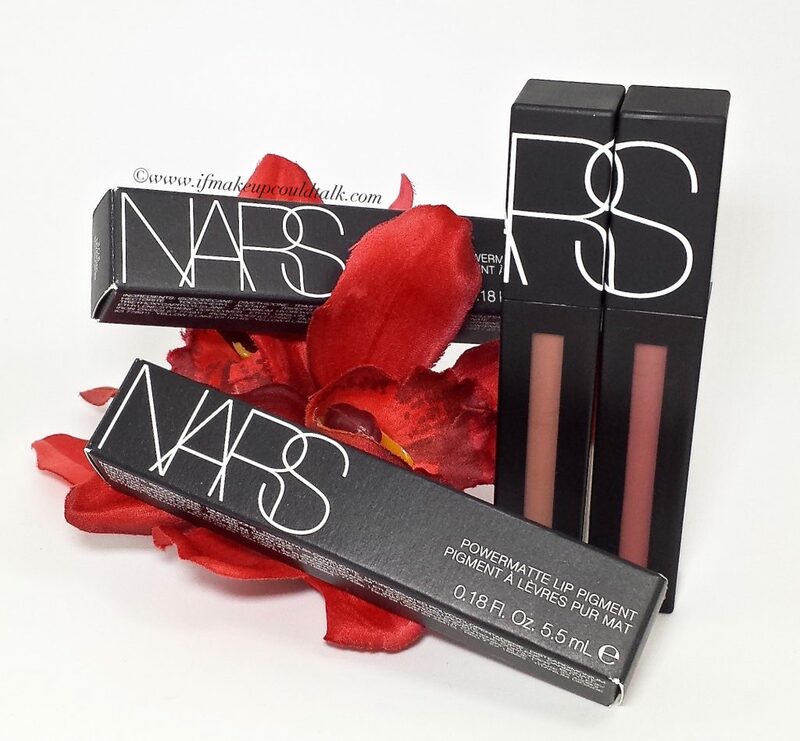 Nars Powermatte Lip Pigment Get It On and American Woman after three (3) minutes. 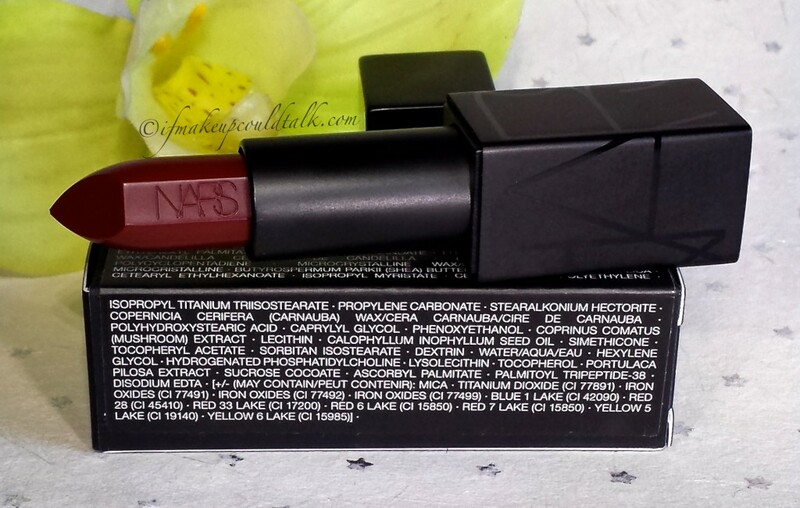 The formula of the new Nars Powermatte Pigments is quite thin and watery when compared to other matte liquid lipsticks on the market. 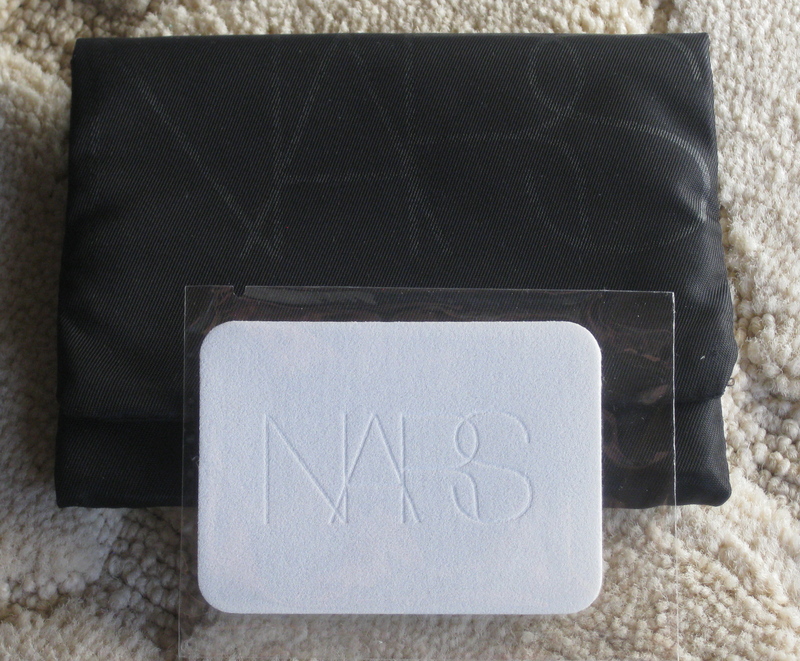 For this reason, Nars strongly advises to shake the pigment prior to application. 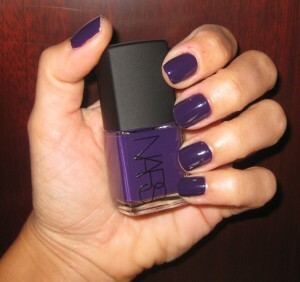 Omitting this step will result in uneven color placement and poor longevity. When the pigment is properly incorporated, one dip will deliver complete opacity on the lips. 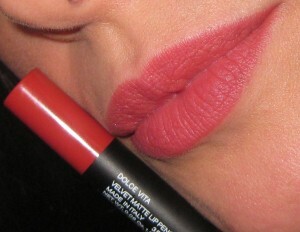 Even the lightest shade, Get It On, will absolutely cover and conceal natural lip coloring with one swipe. As expected, the colors deepen slightly when dry. The above swatches shows Get It On develops a pinker undertone and American Woman develops a rosier undertone. Both colors look amazing on their own (not too pale) or mixed together (see photo below). In my experience when working with the darker shades in the line (e.g. 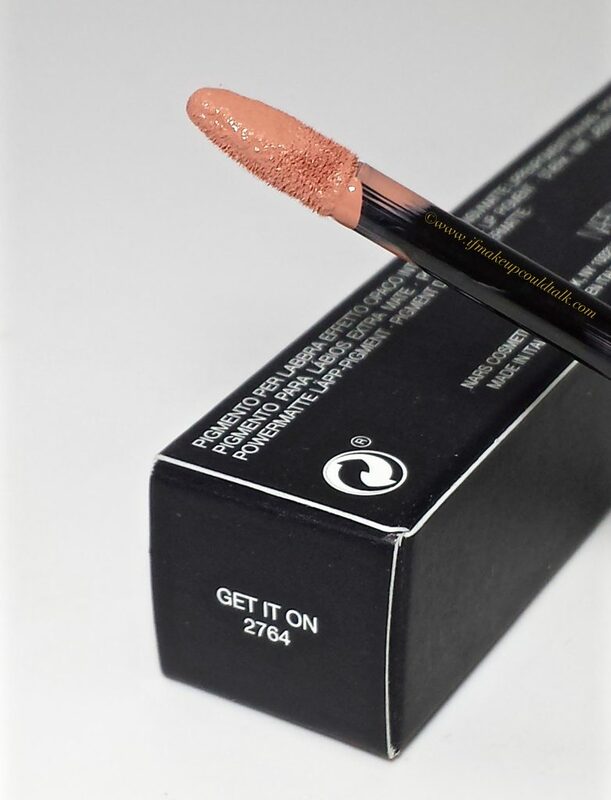 Rock With You), it would be highly advisable to wipe some liquid off on the sides of the opening before applying the color to the lips. The applicator head holds quite an ample amount of product that gathers at the corners of the mouth if one is not careful. When I state these are potently concentrated I am not exaggerating, Rock With You was returned because it was too dark and high maintenance for my liking. 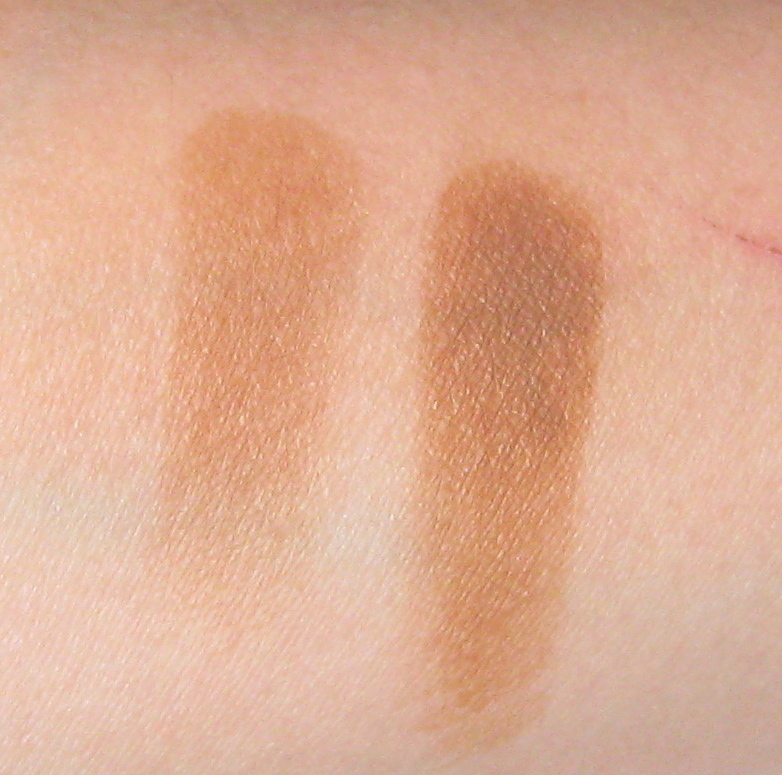 Regardless, I was quite impressed with the consistency of all three shades; they all applied smoothly without any patchiness. Also worth noting, a light vanilla fragrance is present, but not as pungent as MAC lipsticks. 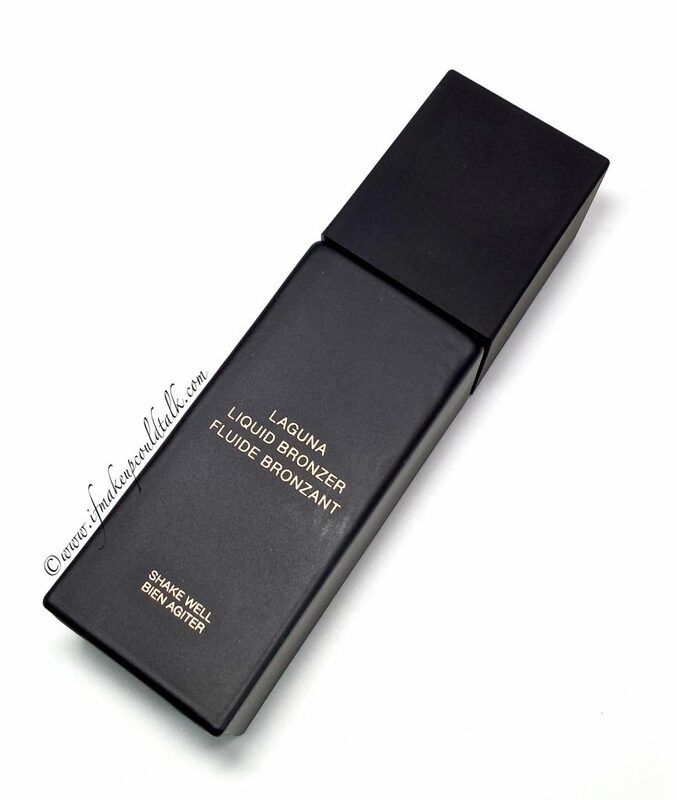 As for the wear, I found the formula adhered immediately to the skin without drying down fully. That slight moisture retention is what makes both colors so bearable throughout the day. The color transfer on cups and cheeks (if kissing) is minimal, certainly not as drastic as one would experience from a conventional formula. 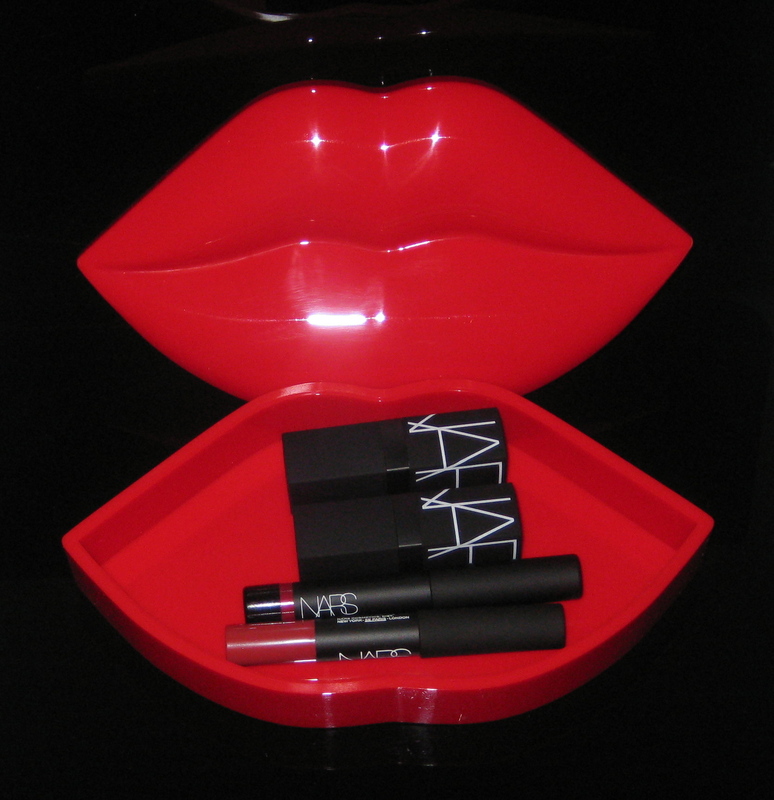 Unlike the arm swatches, a matte finish develops within thirty (30) seconds on the lips. The lasting power ranges between four to six (4-6) hours (without eating or drinking) with even fading thereafter. The colors layer well, but on my dry lips I could only tolerate one touch up for the day. Multiple layers feel too heavy and drying for my taste; I prefer to wipe away the existing color and start fresh. 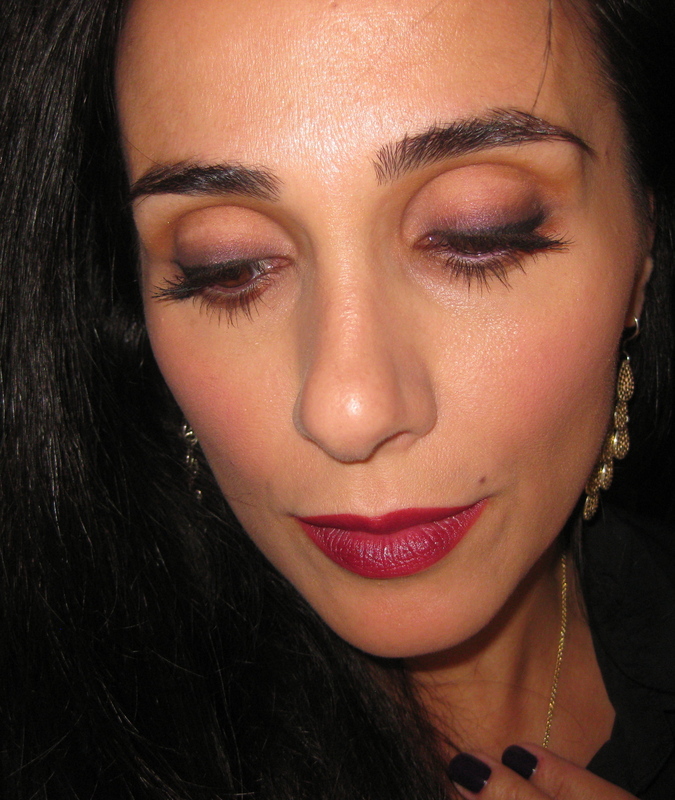 In all honesty, I cannot wear Nars Powermattes, on their own, for too many days in a row. 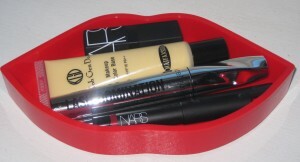 Even though the formula is comfortable, my lips were very dry by the third day. 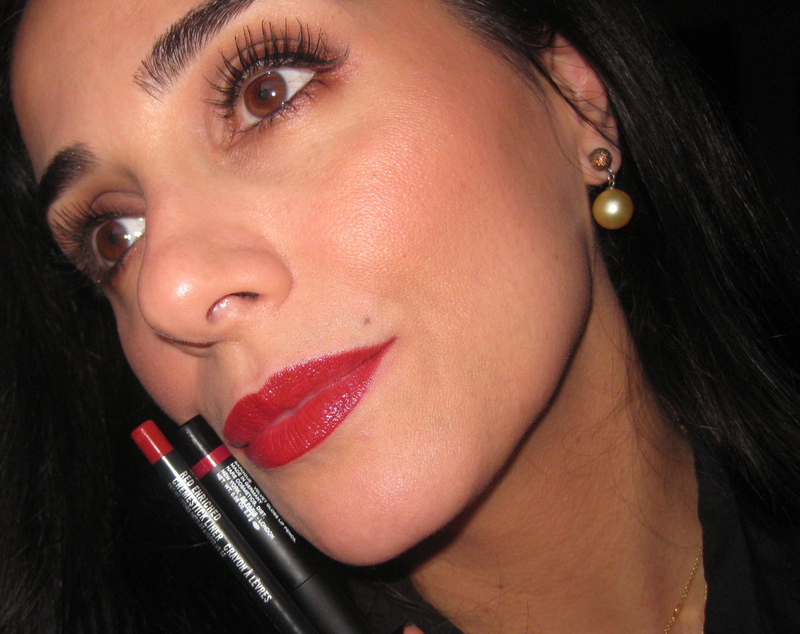 Going forth, I remedied this dilemma by pairing these with my favorite lipsticks, Chanel Rouge Allure Inks (Chanel’s version of a matte liquid lipstick and reviewed here and here). In comparison, Chanel’s formula has a lot more slip and dries down more gradually than Nars. The addition of the Rouge Allure Inks, in particular, provides extra hydration and dimension, while yielding a velvety finish. 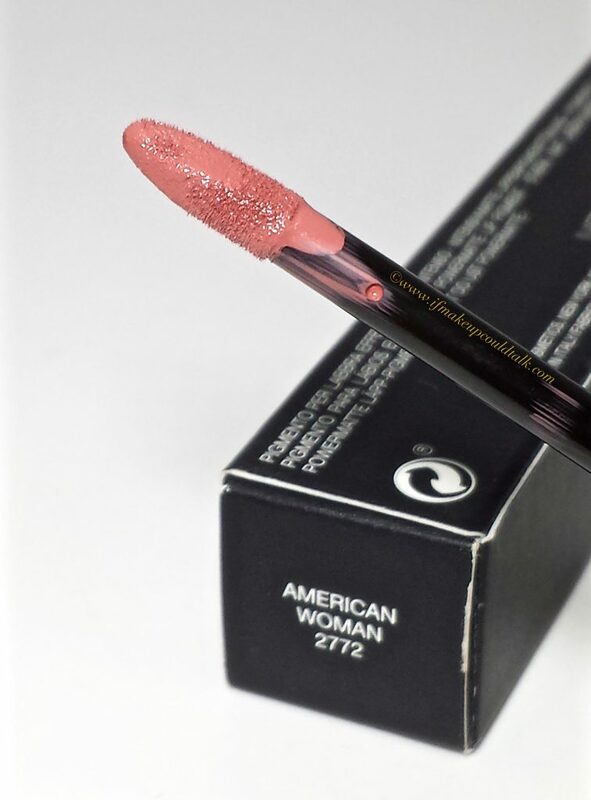 Glosses also work well, but be sure to add just a touch to the center of the lips to prevent bleeding and wear of the liquid lipstick. 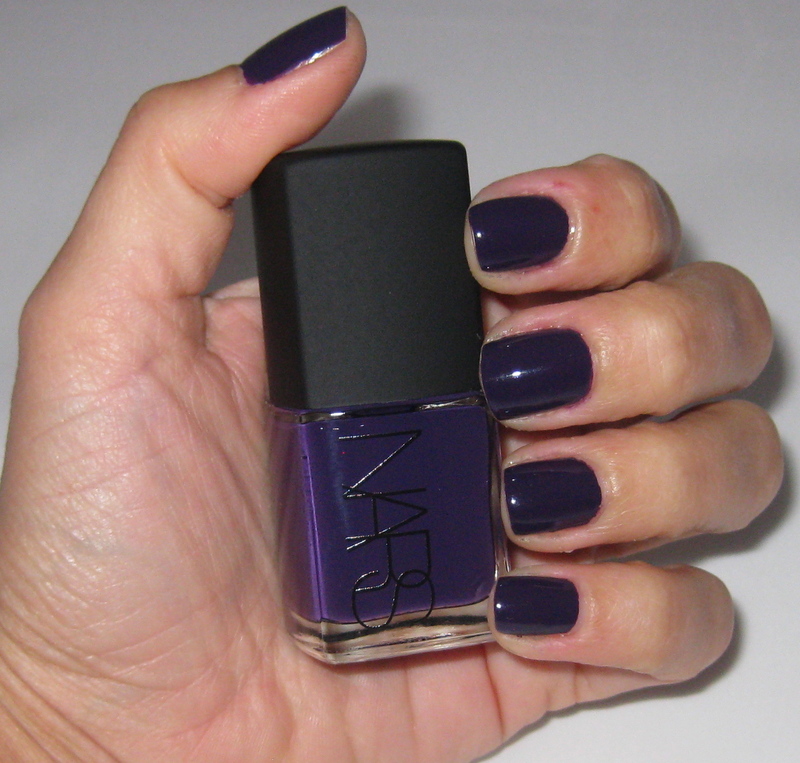 Nars Powermatte Lip Pigment Get It On (one coat). 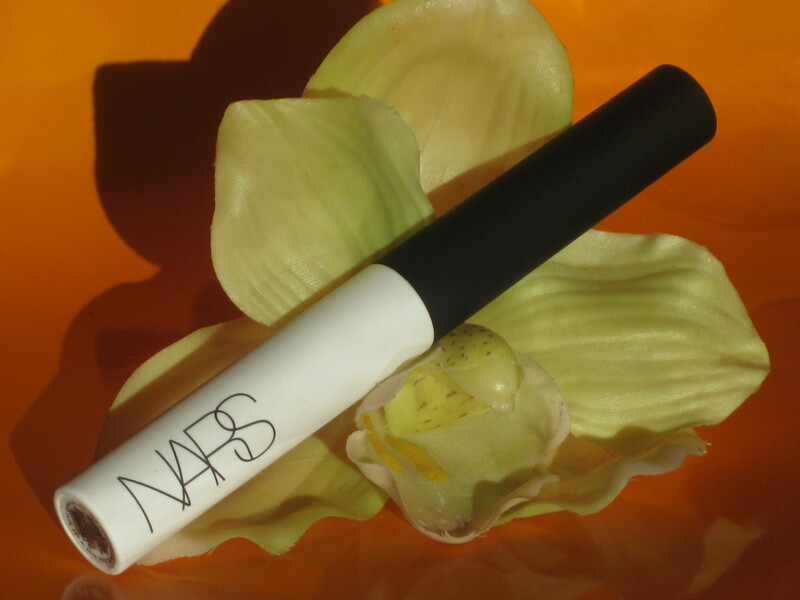 Nars Get It On is described as a “tan rose,” to my eye, the shade is very reminiscent of Dose of Colors Truffle (reviewed here). This warm beige pinky-peach can be worn on its own for those with light to medium skins. Darker skins will most likely experience a concealer like effect, but adding a darker lipliner will easily alter the shade to be more wearable. 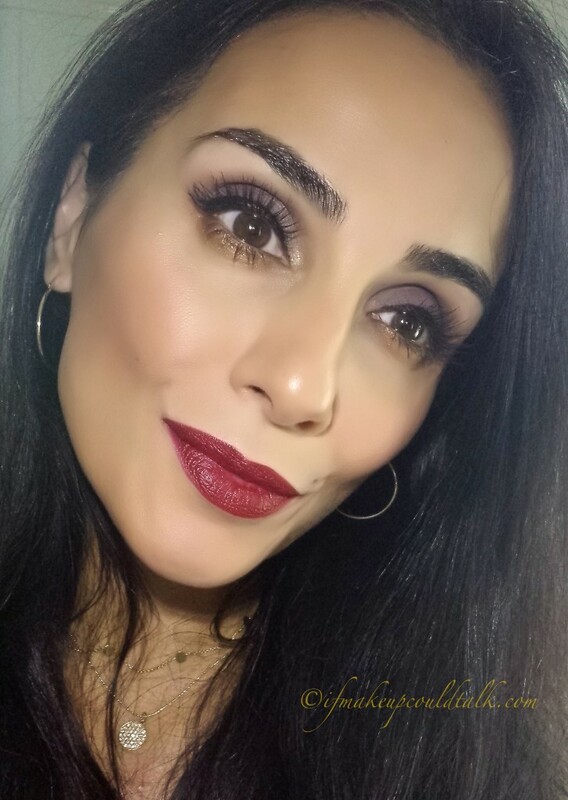 Nars Powermatte Lip Pigment American Woman (one coat). Nars American Woman is a lovely warm rose shade for those who desire the need for a more robust neutral color. 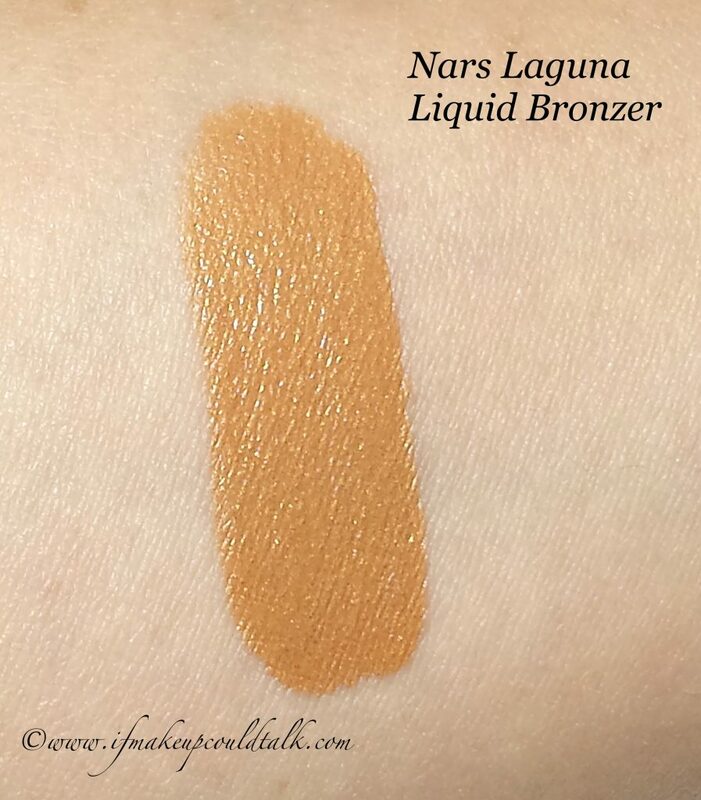 At first, I was under the impression this shade would be too cool for my coloring, but I was pleasantly surprised to see how rich and warm the color appeared against my complexion. 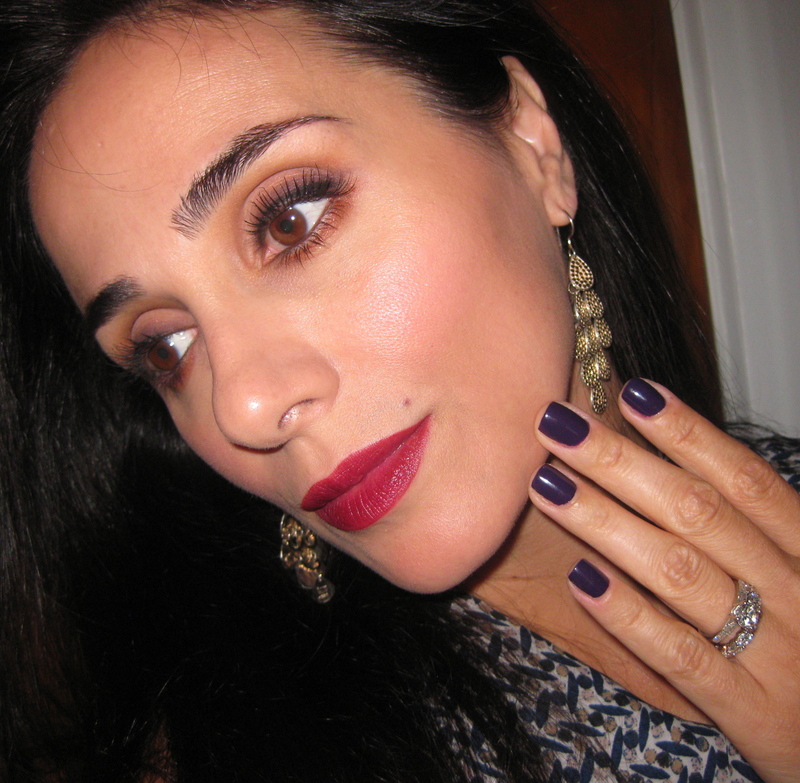 Wearing Nars Powermatte Lip Pigment Get It On and American Woman mixed together (two coats). 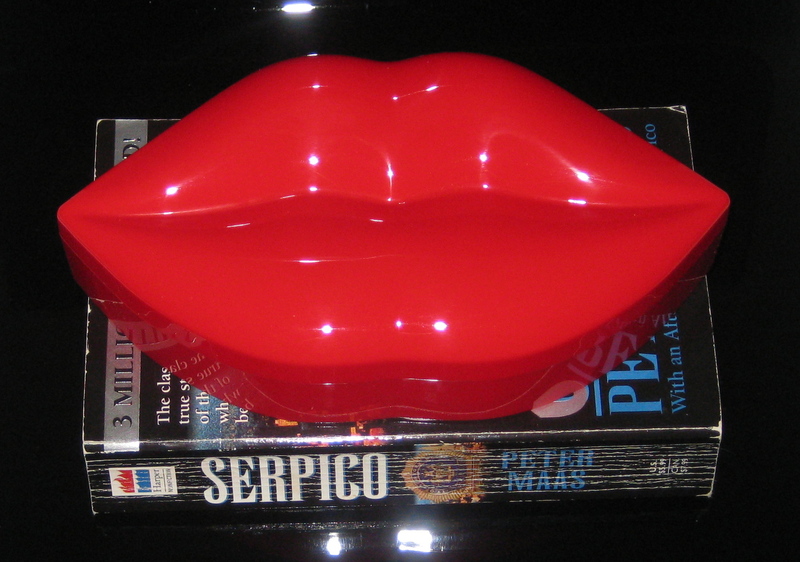 When the mood strikes, a combination of both colors meld to form a lovely shade for daily use. 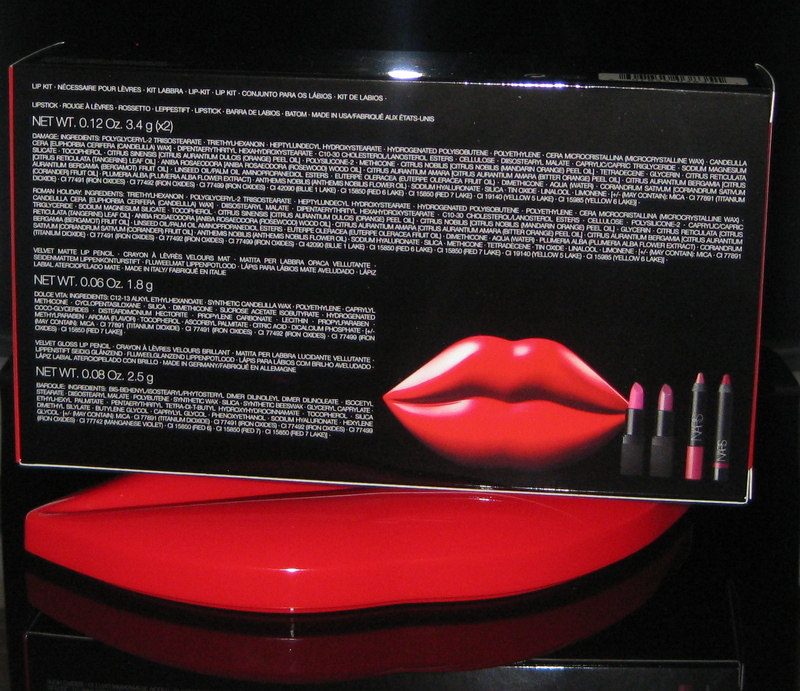 The silky smooth formula easily blends on the lips by just pressing and rubbing the lips together. The newly formed shade takes on a slightly cooler tone, but still extremely wearable for us olive-skinned ladies. 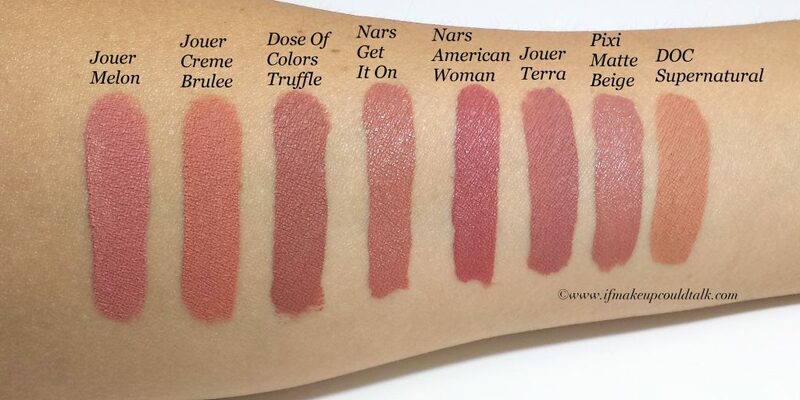 Jouer Melon, Jouer Creme Brûlée, Dose of Colors Truffle, Nars Get It On, Nars American Woman, Jouer Terra, Pixi Matte Beige, and Dose of Colors Supernatural. 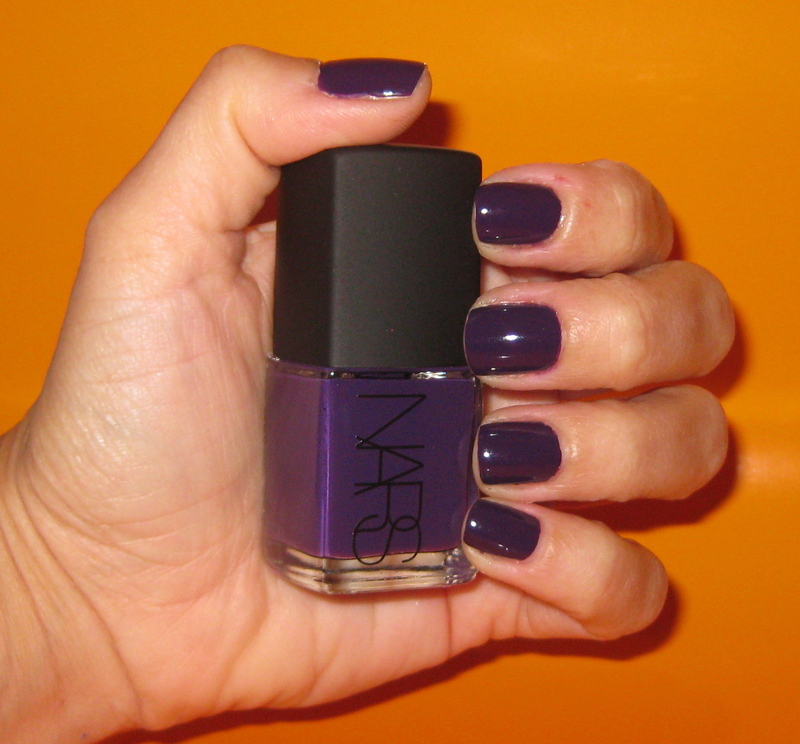 Dose of Colors Truffle ($18USD/ 4.5mL) is the closest color in my collection to Nars Get It On. 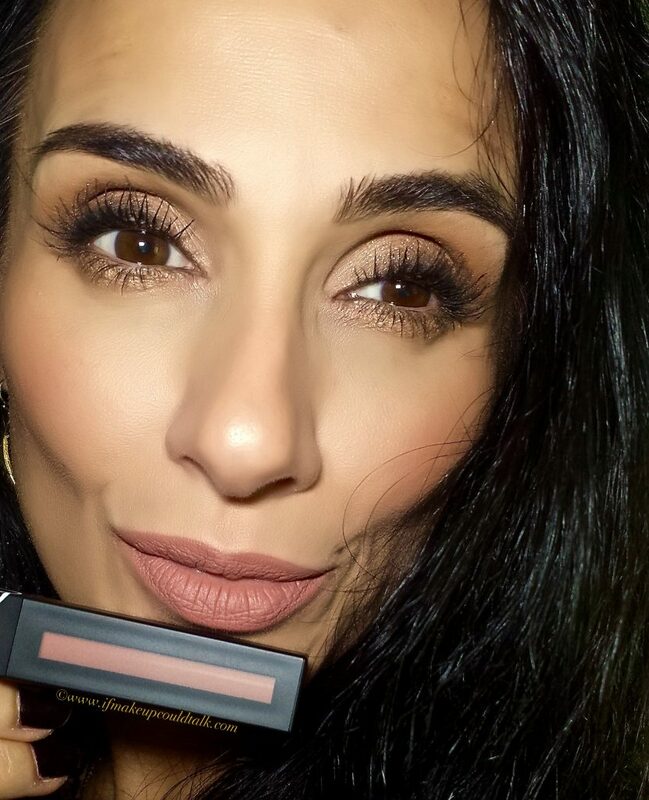 Truffle has a slightly deeper brownish undertone, a more whipped consistency and contains less product. If you have one, you may not necessarily need the other. 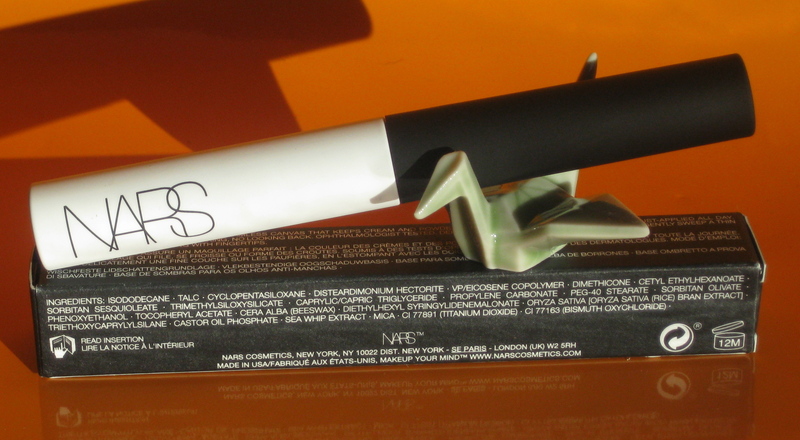 Currently, Nars is not cruelty-free, so if that is of significance to you, then DOC may be your best bet. 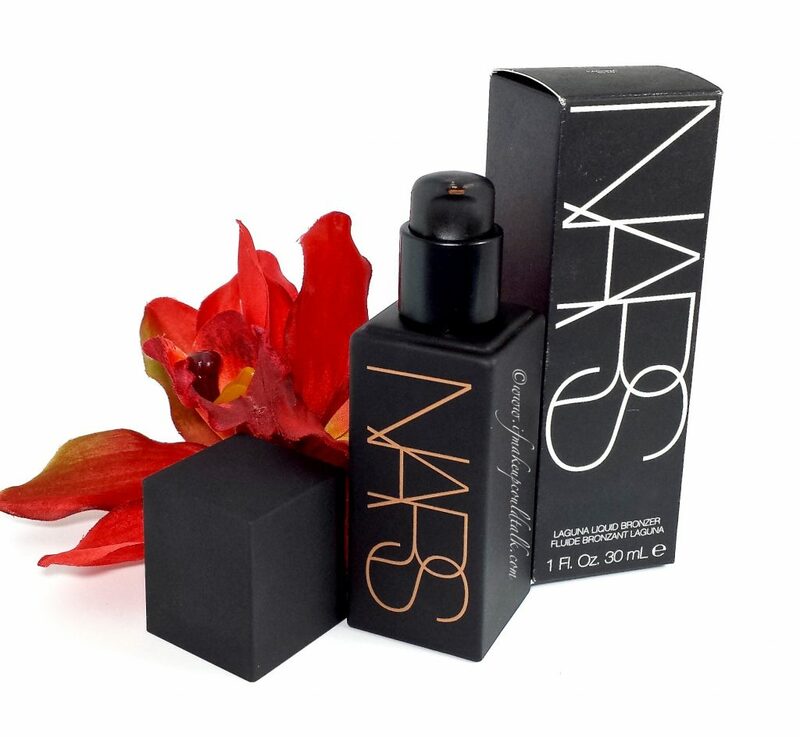 Jouer Terra ($18 USD/ 6mL) is the closest color to Nars American Woman, with a less rosy undertone and a more mousse-like consistency. Jouer is cruelty-free and their liquid lipsticks are lovely. 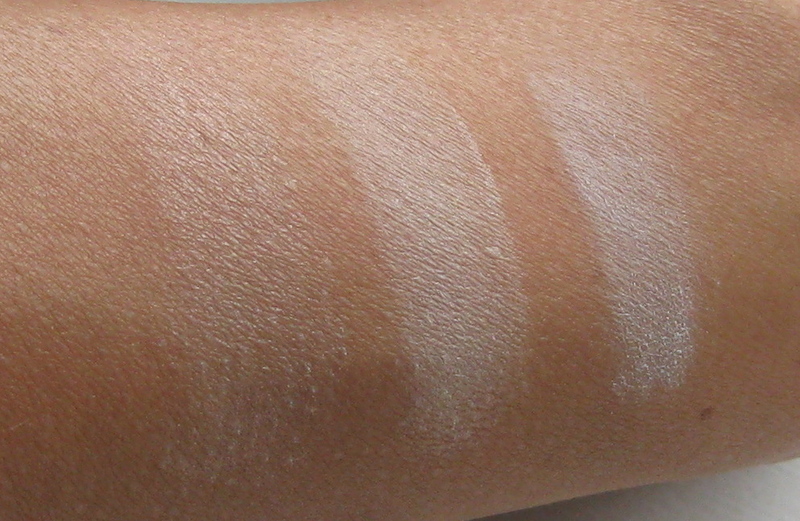 Out of all the brands swatched, Pixi Matte Beige ($14 USD/ 7 mL) is the only formula that is as fluid as Nars. 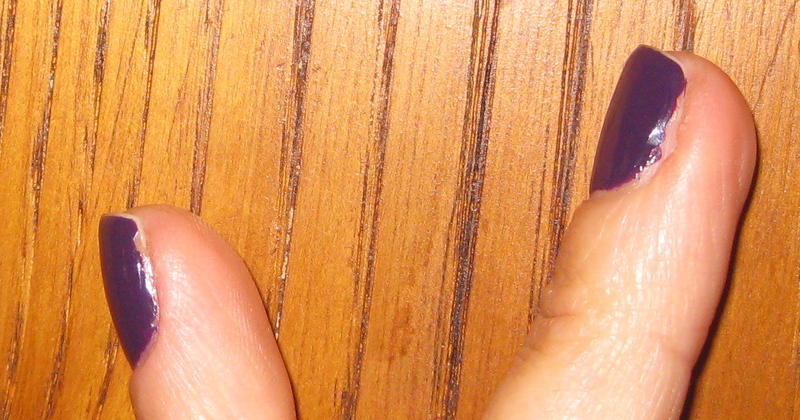 From the onset, Pixi’s formula seems to require more time to settle and the applicator head is rather flimsy. 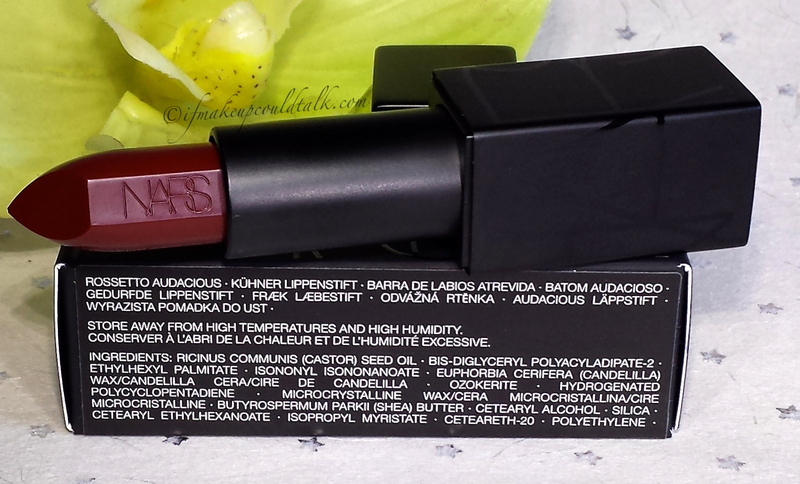 Nars Powermatte Lip Pigment Get It On and American Woman ingredient list. 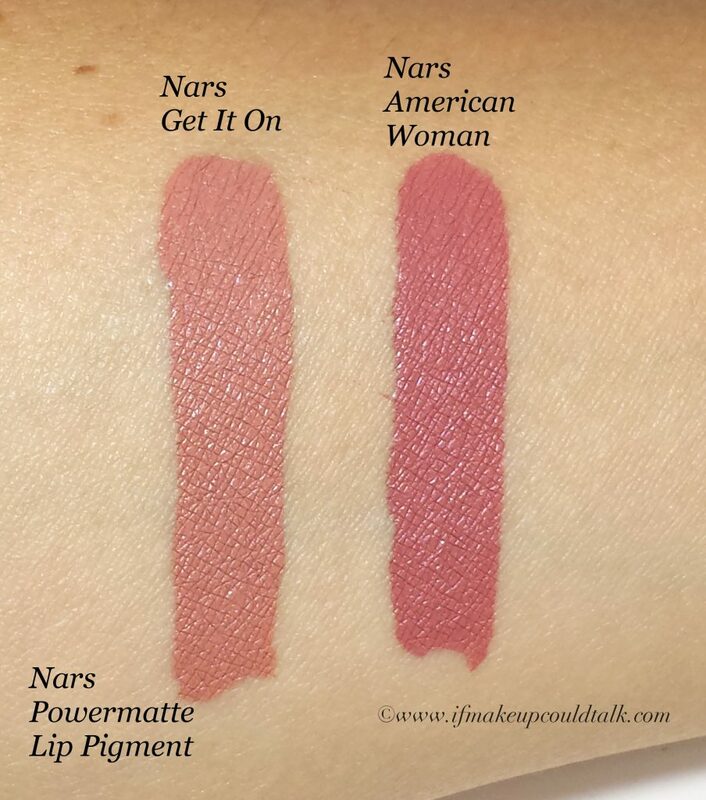 Makeup would tell you Nars Powermatte Lip Pigment Get It On and American Woman are two colors that will surely become staples for many. Since these two colors have entered my life, I have been shamefully ignoring my other liquid lipsticks. 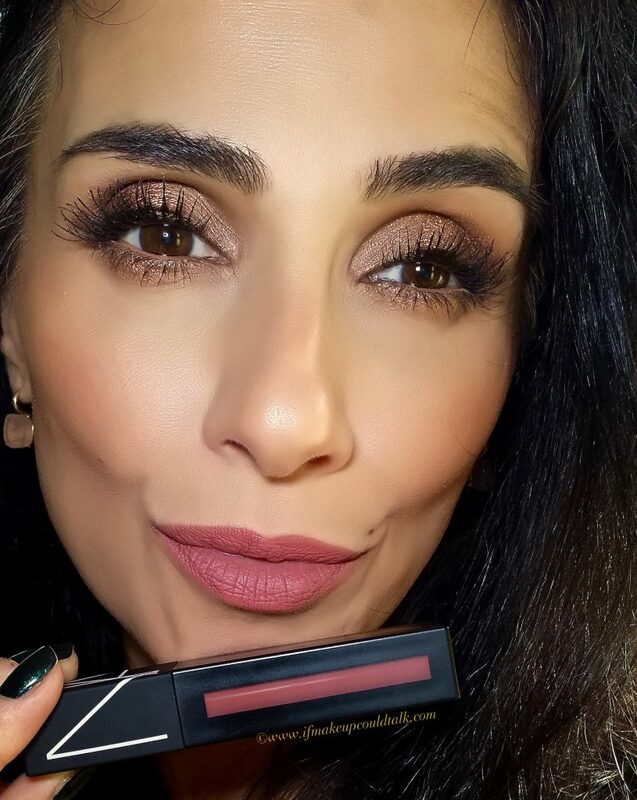 Considering this formula works so well with other colors and brands, it has almost become automatic to reach for either color on a daily basis. Which colors are on your radar? Until next time, be well, stay safe and be happy. Nars Smudge Proof Eyeshadow Base review and photos. What makes an eyeshadow great? 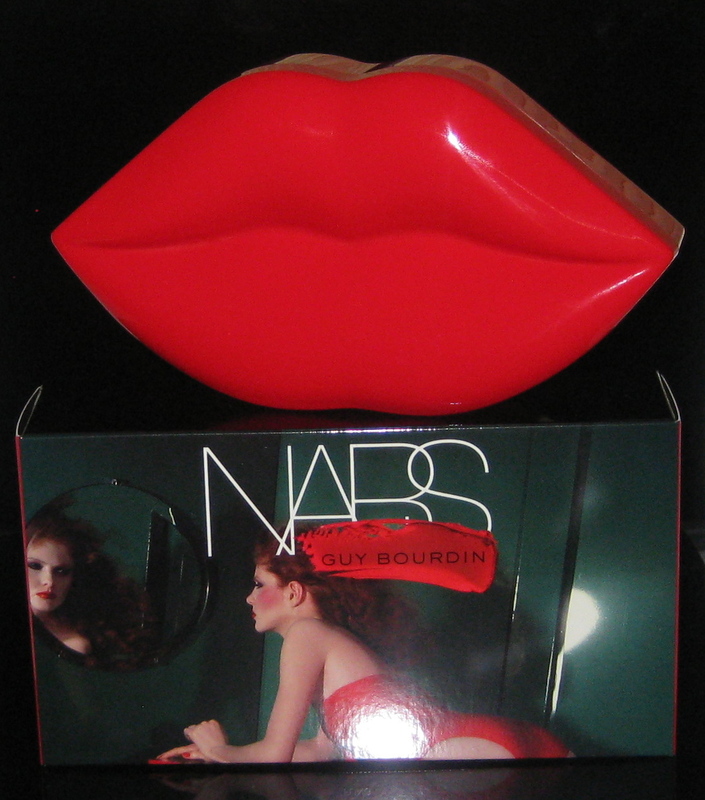 Is it the color, the texture, the brand, the packaging? No…it’s the eyeshadow primer/base! 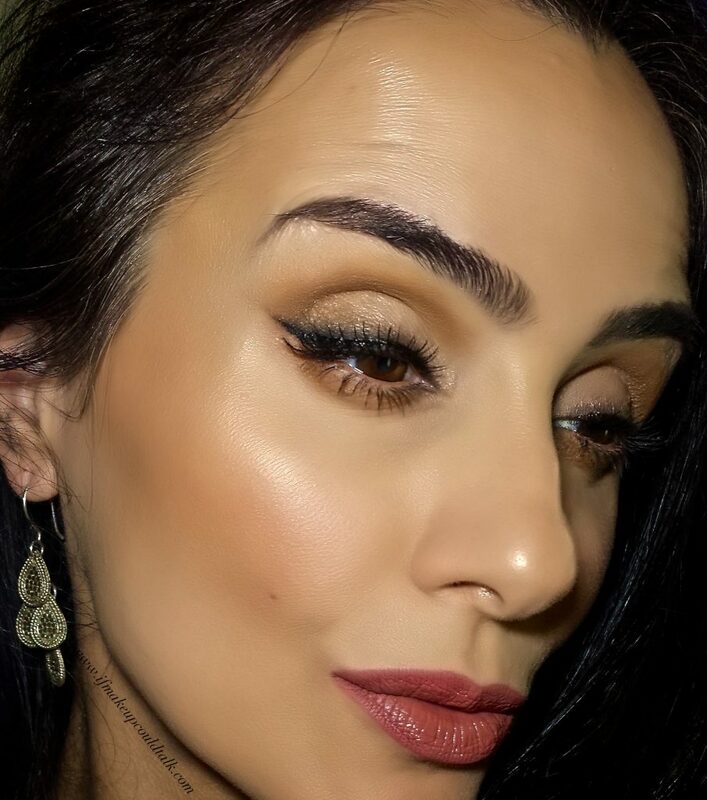 Regardless of eyeshadow brand, an eyeshadow primer makes any powder or cream shadow/liner last longer, colors more vibrant and allows shimmer formulas to adhere more securely to the skin. 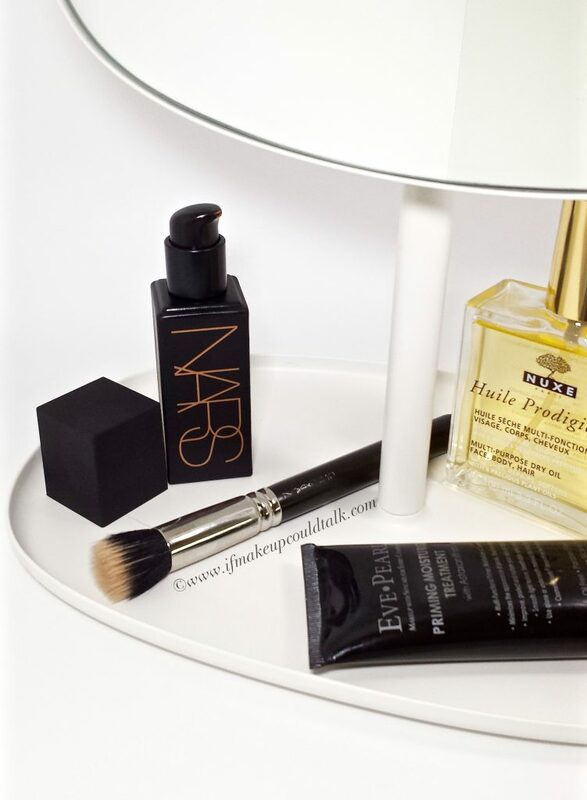 Nars Smudge Proof Eyeshadow Base ($24 US/ 8g) is one primer that delivers beautifully on all accounts; just like my Amex card, I will never leave home without it! 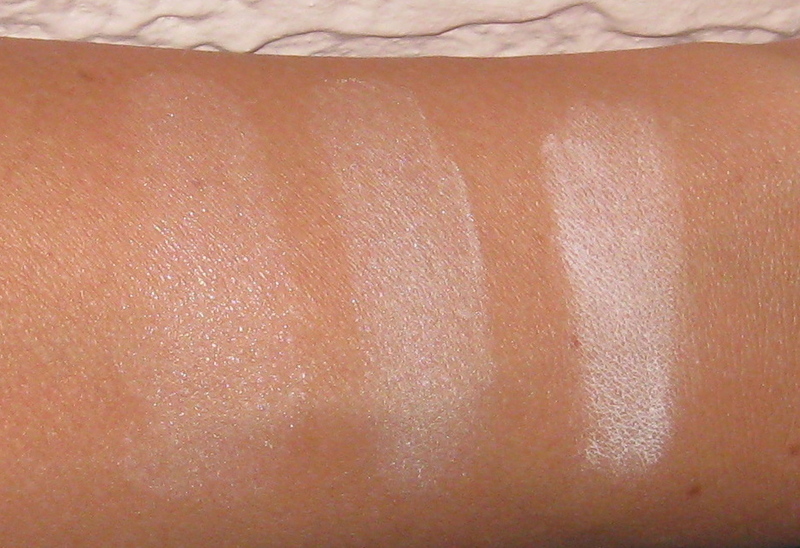 Clear formula allows for a variety of colored shadows to be used. 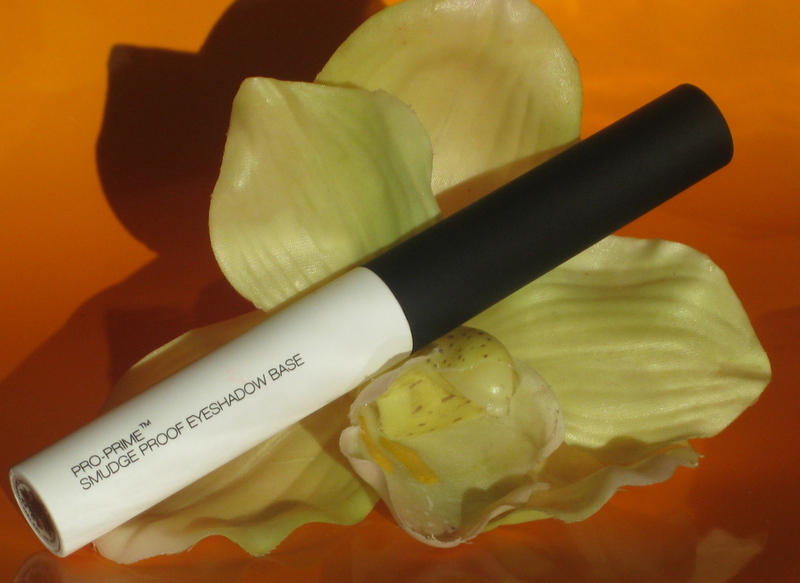 Smooth lightweight formula applies seamlessly. Will not dry out delicate skin around the eyes. 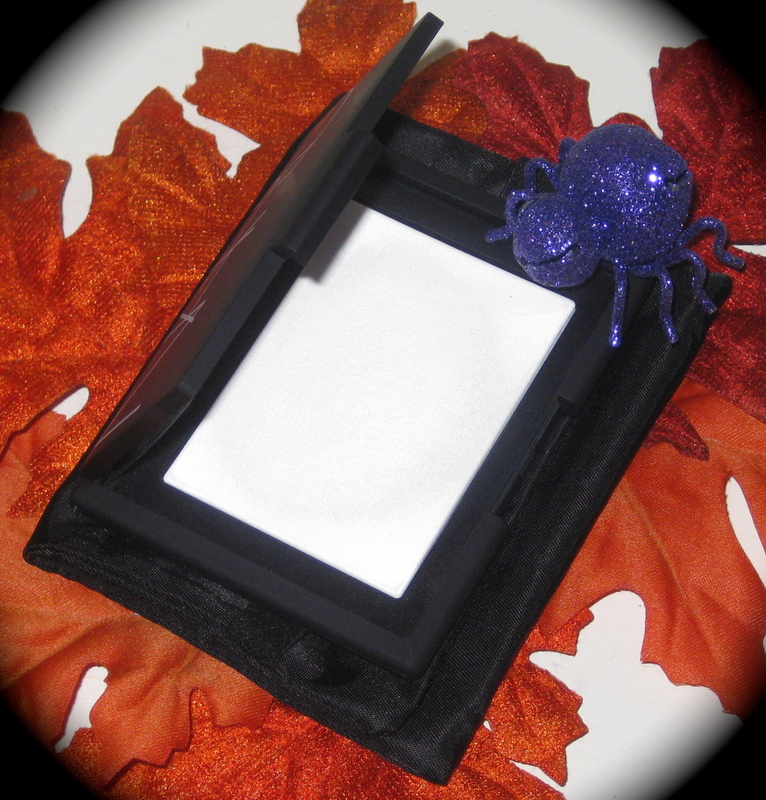 Formula dries evenly and allows for smooth application of powdered eyeshadows. Small amount needed, therefore one tube will last awhile (@ 7-12 months) if used everyday. 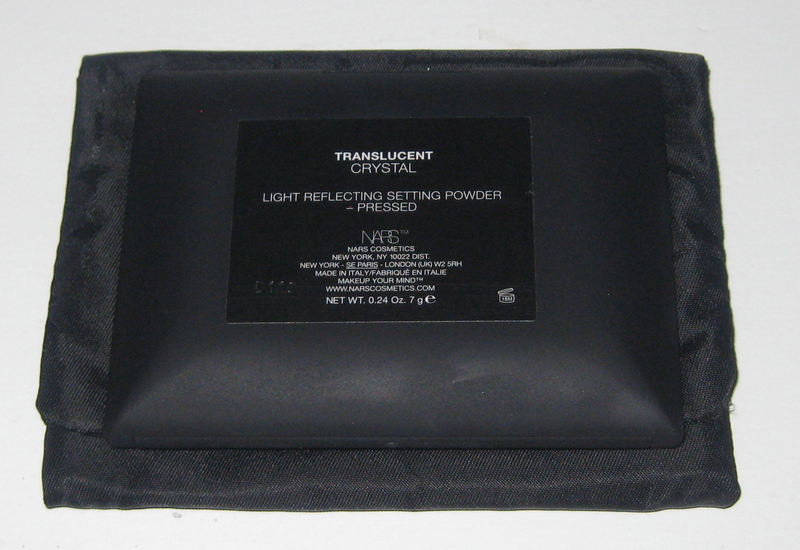 Makes any eyeshadow last 10 hours +. 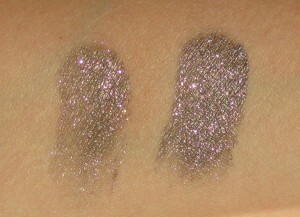 Shimmer formulas adhere beautifully and fallout is drastically reduced/eliminated. Sleek and sturdy packaging is suited for travel. 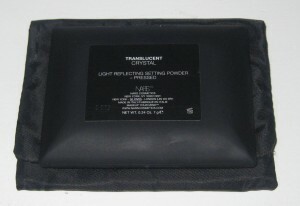 Despite the attractive packaging, I would have preferred a squeeze tube (like Too Faced Shadow Insurance). 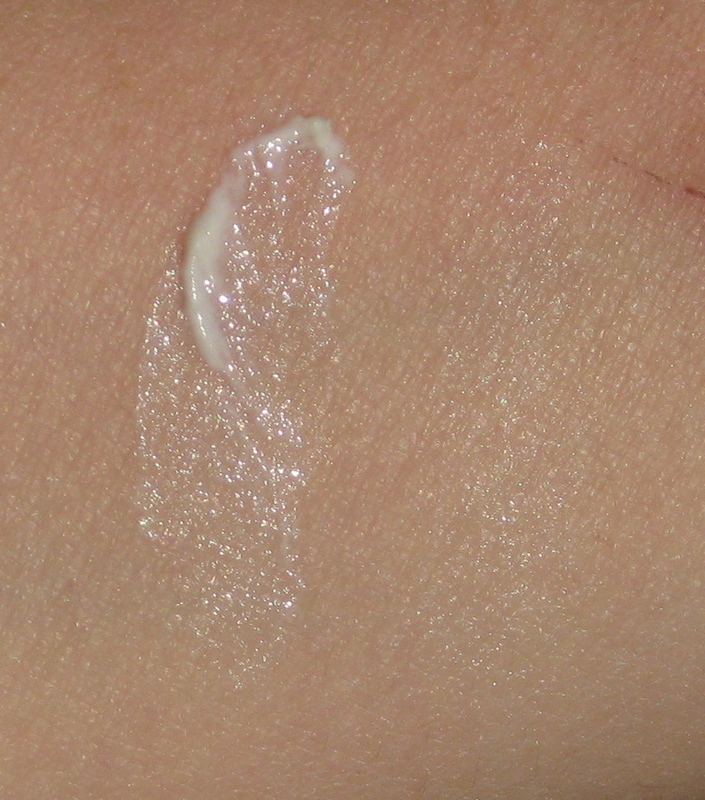 Contamination of product is possible if used on multiple people or if applied on dirty skin (don’t share). Cannot determine when product needs replacing. 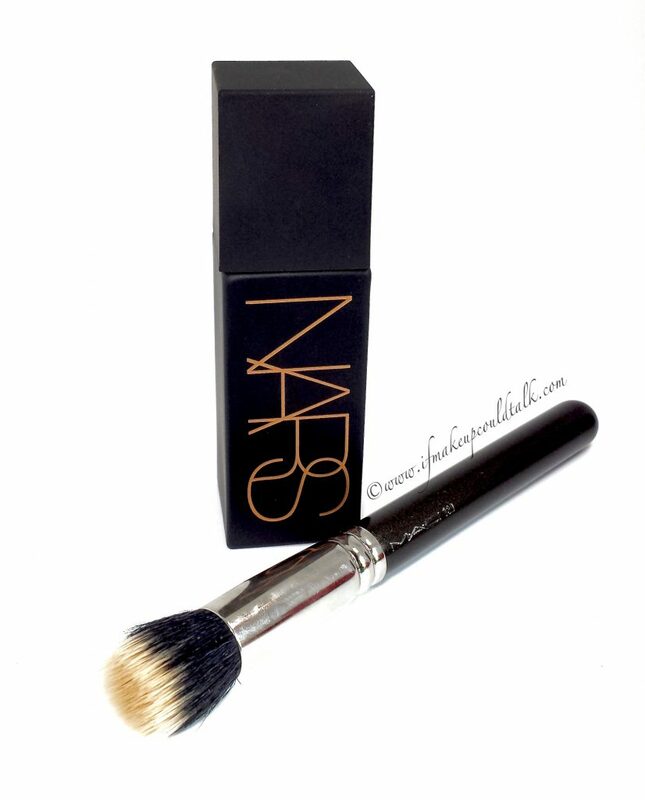 Nars Smudge Proof Eyeshadow Base applied heavily and blended out. Powder Eyeshadows adhere very well to Nars Smudge Proof Eyeshadow Base and last amazingly well over time. L: MAC Uninterrupted (here) without Nars Smudge Proof Eyeshadow Base. R: MAC Uninterrupted on top of Nars Smudge Proof Eyeshadow Base. Both swatches rubbed with a finger to show longevity. 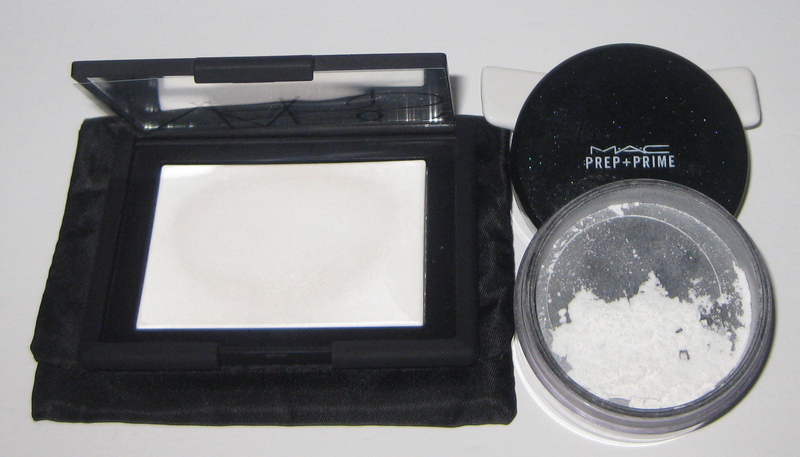 L: MAC Uninterrupted without Nars Smudge Proof Eyeshadow Base. R: MAC Uninterrupted on top of Nars Smudge Proof Eyeshadow Base didn’t move. 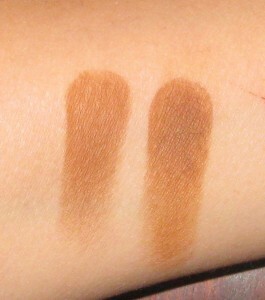 Cream eyeshadows/liners also perform brilliantly over Nars Smudge Proof Eyeshadow Base. 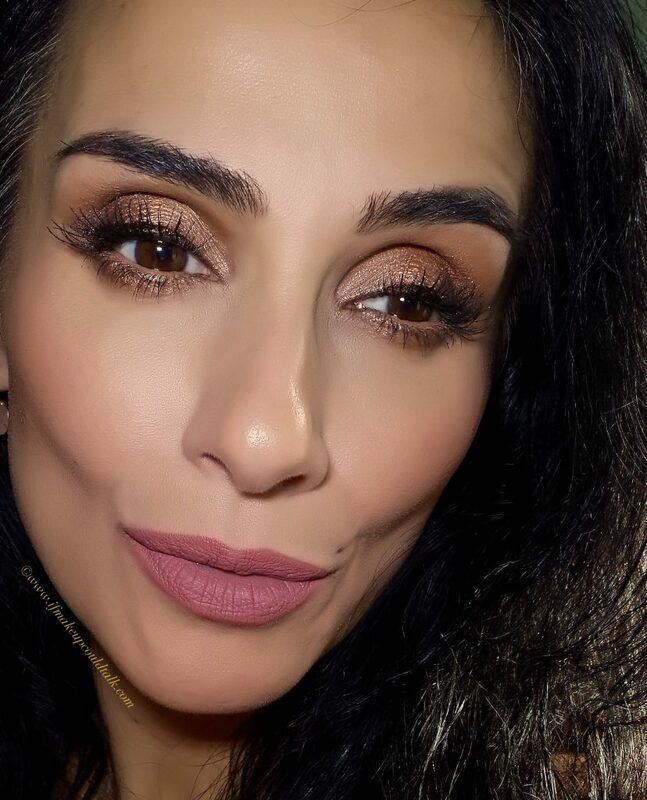 The shimmers are more prominent, the longevity is amazing and shimmer fallout is drastically reduced and in some case, eliminated. L: MAC Its Physical Fluidline without Nars Smudge Proof Eyeshdow Base. R: MAC Its Physical Fluidline on top of Nars Smudge Proof Eyeshadow Base. 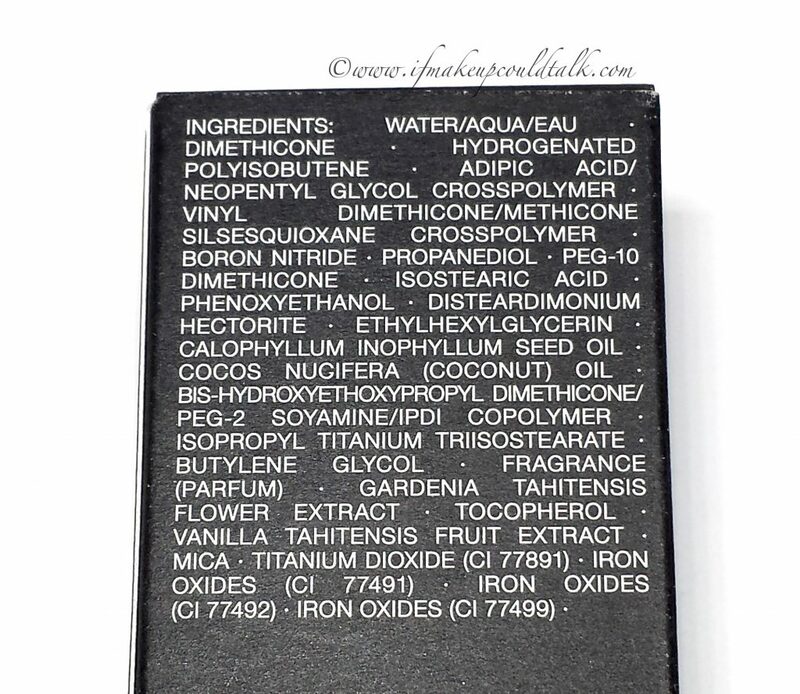 Nars Smudge Proof Eyeshadow Base ingredient list. 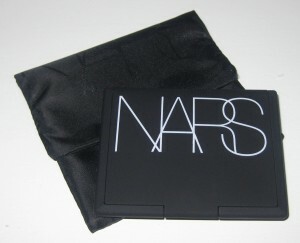 Nars Cosmetics can be found in Sephora, Nordstrom, Lord & Taylor, narscosmetics.com, beauty.com, etc.. Makeup would tell you if you are an avid eyeshadow wearer, then Nars Smudge Proof Eyeshadow Base is a must-have in your arsenal. I have had this primer/base in my possession for the past two weeks and cannot believe I have gone this long without it. 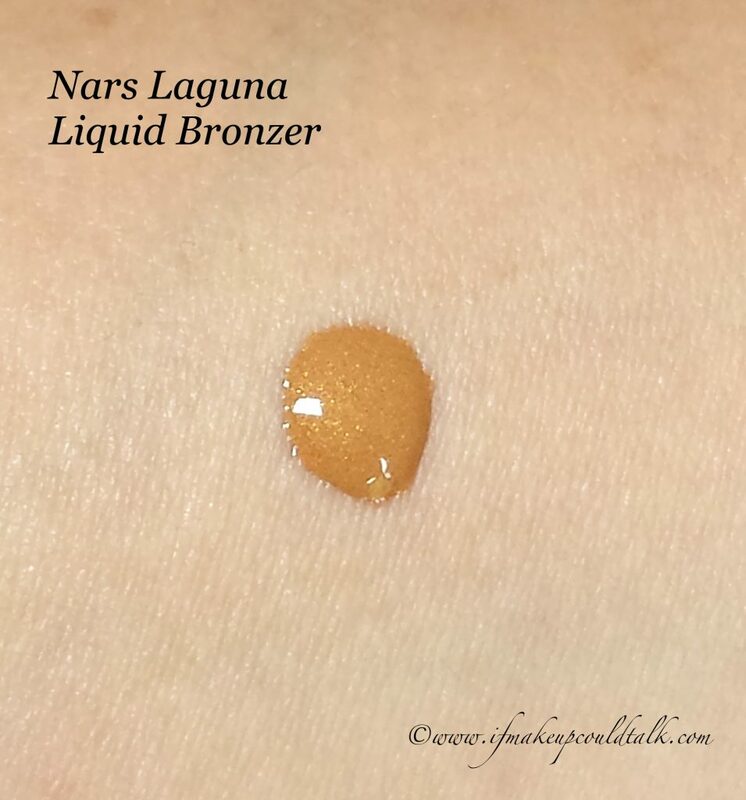 Nars has outdone itself with the creation of this little gem; it far surpasses Laura Mercier Eye Canvas, Too Faced Shadow Insurance, Urban Decay Primer Potion (very drying on me) or any other eyeshadow primer out on the market. 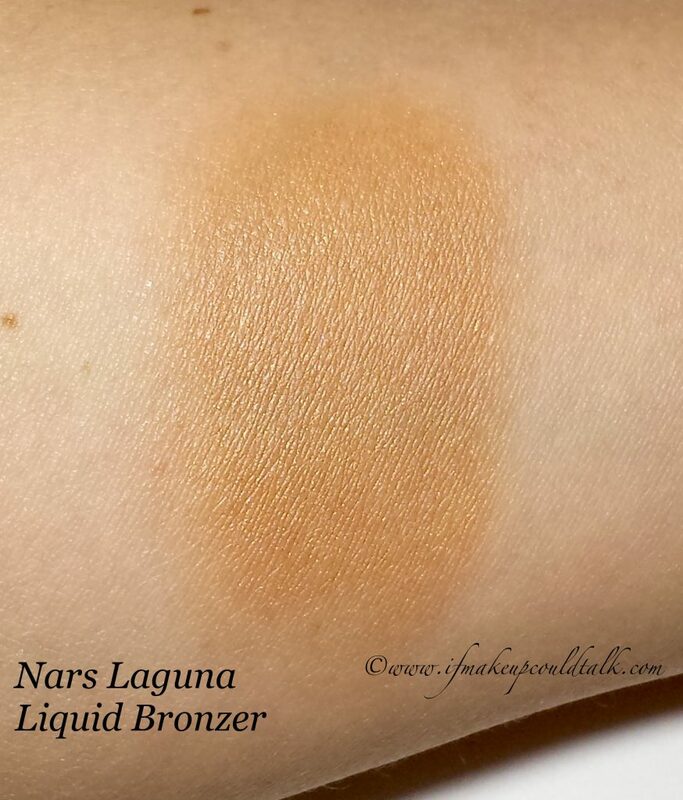 I think I may have found my Top Eyeshadow Primer for 2014…slow your roll Maria, the year just started. I know but, this stuff has rocked my world! What is your HG eyeshadow primer? Be well and stay safe.